Peterborough Panthers will again host the Premier League Fours Finals which this year take place on Sunday, August 2. It is the fifth time in six years the event has been awarded to the East of England Showground venue, but the first for the new promotion headed by Ged Rathbone and Trevor Swales. Co-promoter Swales said: “We are absolutely delighted the British Speedway Promoters’ Association (BSPA) have seen fit to award such an important meeting to a new promotion. 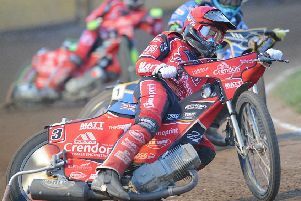 And Panthers will be anxious to make a bigger impression on the track than they managed last year when their quartet of Lasse Bjerre, Ales Dryml, Ulrich Ostergaard and Lewis Blackbird bowed out at the semi-final stage.